Wednesday 30th January proved to be another great morning for everyone at J-Flex. A bitter cold early morning soon warmed up as we settled in with a hot drink and breakfast for the North Notts Business Networking event, at which the Finalists for the North Notts Business Awards were also to be announced. As well as sponsoring an award we were also entered into three categories. 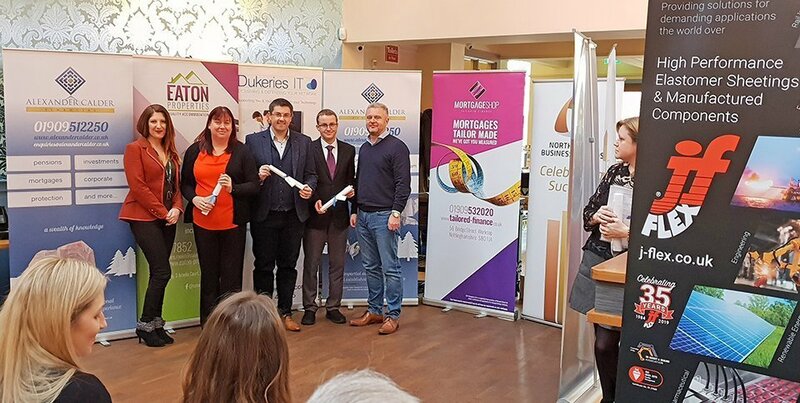 Following a round of introductions from a good mix of local businesses, the Awards finalists were announced, and much to our delight we were announced as finalists in all three! 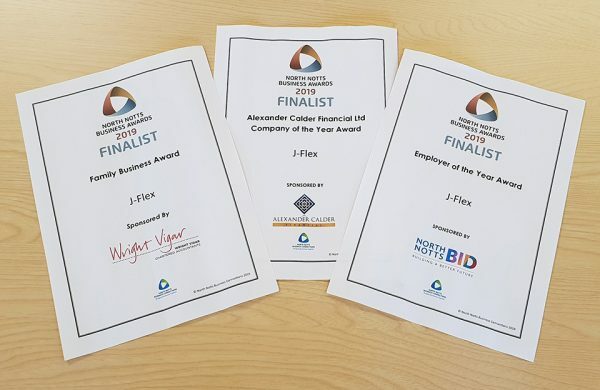 We’re now very much looking forward to the Awards ceremony on Friday, 15th March 2019 at the North Notts Arena. Below: Managing Director, Sam Kirk with other Company of the Year finalists and the sponsor of the Company of the Year Award.